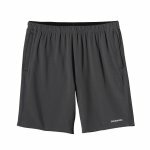 For the runner who needs a fully featured and versatile running short, the Nine Trails is made of a lightweight recycled polyester/spandex blend. Details: Rear zippered pocket; zippered front pockets; odor-resistant built-in liner. 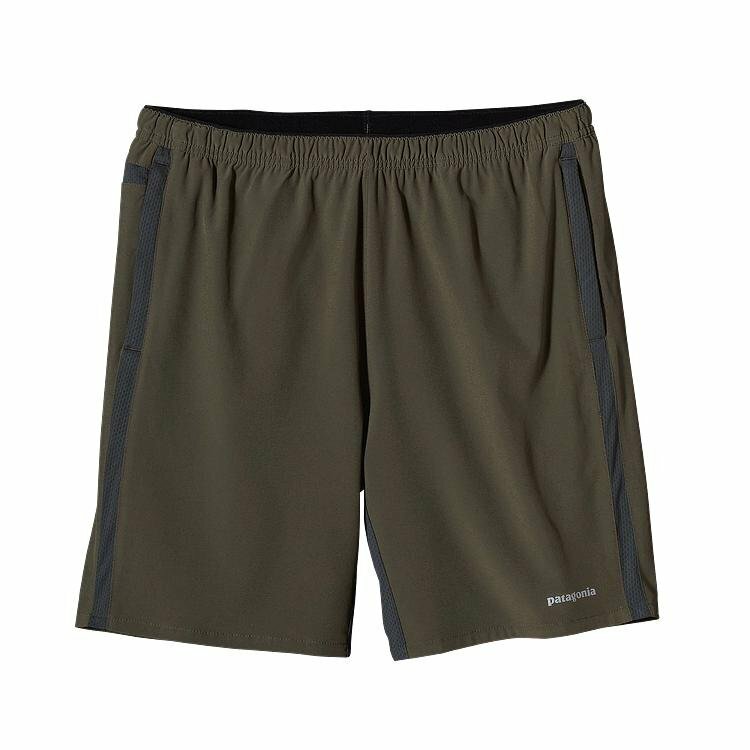 When your daily ritual revolves around getting outside and covering ground, our time-honored Nine Trails Shorts won’t let you down. 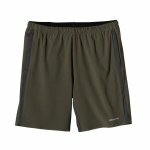 These versatile, fully featured, tough yet breathable running shorts are made from a lightweight blend of 75-denier 91% all-recycled polyester/9% spandex fabric with 4-way stretch and a DWR (durable water repellent) finish. To help vent excess heat and eliminate chafing, the crotch gusset and side panels use quick-drying, 100% polyester (50% recycled) Air Flow mesh fabric. The built-in liner is soft, breathable and moisture-wicking, thanks to a polyester crepe mesh fabric with Polygiene® permanent odor control. All three pockets (two front, one back right side) now close with zippers, and a flat-knit drawcord at the waist fine-tunes the fit. Inseam is 8". With reflective heat-transfer logo on front.